I have waited a while to write this post. It follows on in the series I started on this topic. It seems clear that the Brexit vote was about three key elements: taking control (whatever that means) of our own money, our own laws and our own immigration. I hope to write another blog on those three things another time, but in this time of transition, we must ask ourselves some questions about the kind of future we want to co-create. I have to say that when I look at our education system, I am both heartened and dismayed. I am heartened by the amazing quality of teachers across the UK, but I am dismayed by how they are treated as a profession by our mainstream press. I am heartened by the quality of our children and young people and the hopeful possibilities they carry, but I am dismayed by the increased burden of mental health problems many of them suffer. I am heartened that there is so much great thought around education and a shared learning between nations about how to release the potential in each child, but I am dismayed by the lack of application of this learning within the UK. I am heartened that there is an increasing realisation that Ofsted reports can offer only a small snapshot of what goes on in any school and are not a fair representation of all that goes on in any one institution, but I am dismayed by our growing measurement problem. By this I mean that the constant scoring and grading of our children and young people and the comparisons made between our various schools is so detrimental to their development and achievement that we ought to seriously consider the weight it is allowed to carry in our education systems. When our children and young people are some of the least happy in Europe and live in a country where the gap between the richest and poorest, both in terms of economics and educational ‘outcomes’ is one of the worst in Europe, we have to ask ourselves some searching questions. So, in reimagining education, let’s reaffirm that every child is unique, beautiful, worthy of love and full of potential. Let’s also recognise that our education system now is one of the few things that has not evolved since the time of the Industrial Revolution and is itself in need of serious renewal and transformation. In Germany, they have managed to elevate practical skills and knowledge to that of intellect. This has given them the ability as a nation to have a much more diverse economy, especially investing in green technologies and manufacturing in a way that cares for the future. In Finland, they have a reverence for the teaching profession that we would do well to adopt here. We need to think of teaching as a sacred gift and it needs to be taken this seriously by those who pursue it as a career. A Head Teacher I know recently told me that she no longer needs teachers who see themselves as having a job, but those who understand that teaching is a vocation and a calling. It is about being willing to parent a generation, not just fill them with knowledge. Our educational environments must be places where we teach our children how to think, not just what to think, how to converse, not just what to say and how to listen attentively not only hear. We must help them learn about their own personalities and gift mixes. We must help them to think about the values from which they live, speak and act, helping them therefore to shape their behaviours in line with this (Steve Peters). We must allow them to question some of the damaging ways we live (war, pollution, work-patterns) and dream of and learn to create futures of peace, sustainability and wellness. We need a vision large enough to ensure that each generation creates a seedbed of opportunity for the next. The danger of becoming more ‘in control’ (as per our Brexit wishes) is that we become more controlling. The purpose of education is not to control but to release, not to maintain the status quo but to attain a brighter future, not to perpetuate hate and violence but to breathe love and peace, not to tear down but to build up and encourage, not to divide but to build community, not to prepare human beings to be fodder for the economic machine but to ensure the economy serves them to be live a life of hope-filled potential. As with healthcare, we need to de-politicise the education system, hold dear in our hearts those given to teach, caring for their wellbeing and minding how we speak of them. We must partner with them and entrust them with our precious caterpillars as they hold them through the great metamorphosis that is learning before they spread their wings and make their flight to shine like stars in a future sky that the rest of us will never see. 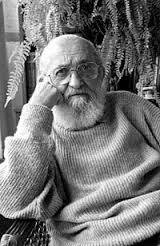 Paulo Freire was an educational revolutionary who saw that the poor, marginalised and oppressed in Brasil, took on the world view (or “social construct of reality”) of those who were their oppressors. More than this he described how the educational system was used like a “banking system” to deposit the world view of the dominant class, (with their wealth, power and privilege), into the hearts and minds of the lower social classes, therefore maintaining the status quo. He spent loads of time with the “peasant classes”, (after a financial crisis in his own family left them very poor) and learnt that they were certainly not unintelligent and although illiterate, had an incredible language of their own. He went on to devise an educational program which enabled these “peasants” to learn rather than to be taught and in so doing released them to begin a revolution in which the powers were challenged, the presumed ‘ways of being’ were shaken and new freedom was found. Unfortunately, this was crushed by the military coup of 1964, but it left Freire never again to “underestimate the vested interest of political powers in controlling the production and distribution of knowledge through their system of schooling” (see amazing work on his by William R. Herzog II in Parables as Subversive Speech). Herzog goes on to draw some extraordinary parallels between Paulo Freire and Jesus Christ, whom he asserts both hugely confront the power paradigms of the day and in so doing bring good news to the poor, freedom for those held captive to oppressive systems, sight for those who had been blinded by the worldview of the ‘mighty’ and light for those living in darkness. Mitchell, in his book, “Church, Gospel and Empire’ demonstrates how Jesus directly challenges the Imperial System of Rome. 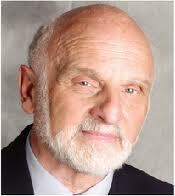 Brueggemann (in “The Prophetic Imagination”) contends that Jesus (as a prophet and much more than just a prophet) is fulfilling the prophetic tradition of those who have gone before, criticising the oppressive systems and energising a fresh imagination of how radically different a future built on the foundations of (God’s) love could be. I wonder how many teachers these days see it as their role to teach and train their pupils in the ‘national curriculum’ and the ‘social constructs of reality’ to which we all subscribe? And how many see their role as revolutionaries who dare to allow our children to believe that the world we live in can be radically different in the future; where instead of an economics of affluence, we have an economics of equity, instead of a politics of oppression, we have one of justice and compassion, and instead of a religion of immanence and law, we have one of true freedom (again, see Brueggemann) – I don’t know, but if you’re out there – please keep going!